Fairytale Wedding Planning in the UK: The Hen Party! I had a girly weekend at a spa. Pampering throughout the day and in the evening we had our own private room, ate lots of delicious food, had a good old drinky poo followed by all the girls jumping in bed together with our PJs on and eating chocolate!. It really was great, crazy and a really happy memory for me to look back on. Of course what I did for my hen party is not everyone's cup of tea. There are so many things you could do such as - wine tasting, cocktail making, boat party, make your own perfume, Go- karting, activity weekends, murder mystery night, comedy club, photo-shoots etc. Making the decision can be difficult as there is so much to decide on. I am going to give you some tips and advice on everything you need to know when planning your hen party and hopefully make your decision a little easier. Your maid of honour is usually the one in charge of planning your hen party. 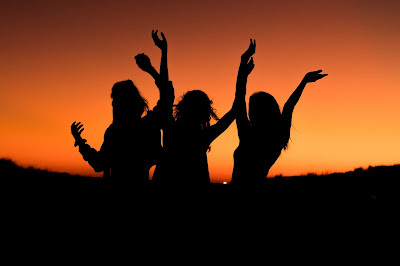 If you are completely trusting in your maid of honour and are having a surprise hen party I would advise you to give her hints on the things you don't want to do and the things you would like to do. I am 99% sure, that way your maid of honour will get it right!, we hope. Give your maid of honour a link to my wedding blog and let her read this post, it will give her some tips and advice so she wont get it wrong. So, if your the maid of honour and your bestie is getting married here is a list of tips so you won't get it wrong! 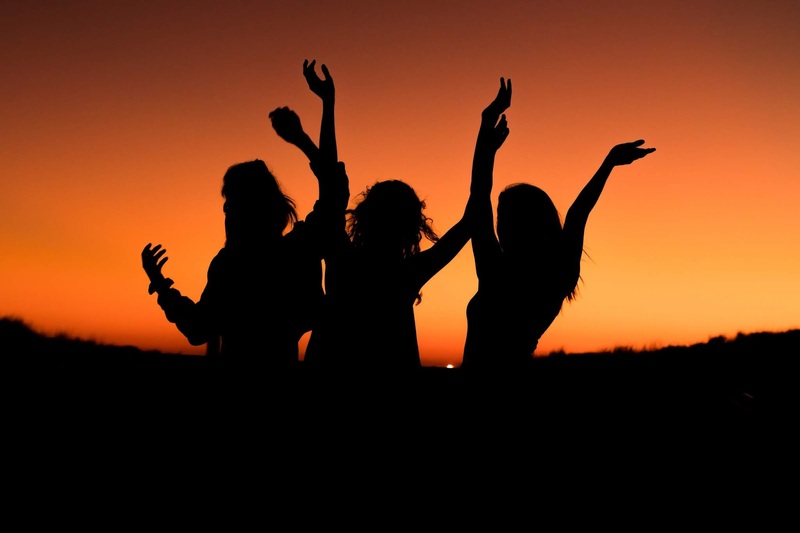 Know the budget and stick to it- It could be that the bride is funding the hen party so you need to know the budget. Maybe everyone will be paying for themselves which is normally the case. If they are then you need to ask the girls what is their spending budget. The bride will want all her friends at her hen party. It is important to watch what your spending, you can let all the excitement get the better of you and you may end up going a little aboard. All the little extras do add up! 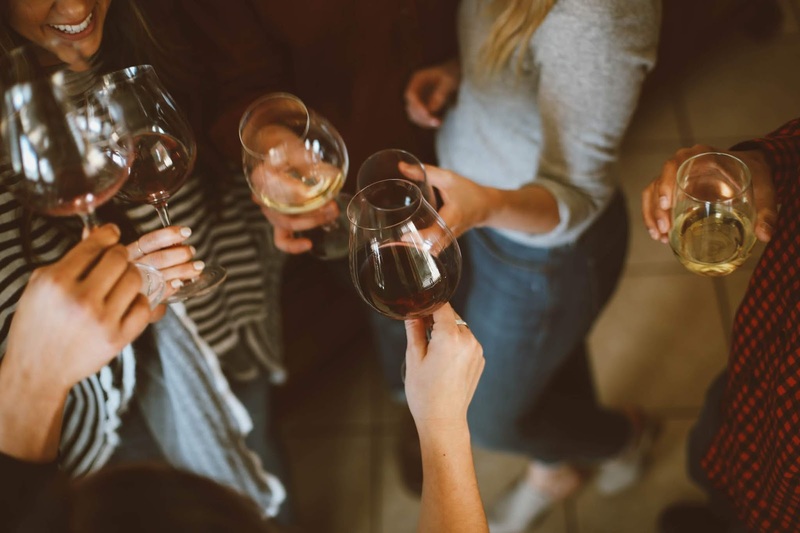 The most important question to ask the bride is what she would like to do, after all this is her hen party and you will want to make it special for her. What you may like or think she may like could be completely different to what she is thinking. I would advise you to book 9-12 months in advance. Planning can take a while and if you need to get deposits from friends, booking accommodation, transport etc. Then theres the added extras such as the hen party bags, sashes, hen party personalised T-shirts etc you don't want to leave it to the last minute. organisation is the key! It is important to keep the hen party group informed on all the details. Setting up a facebook group page is a great way for you all to keep intouch and informed on all the details. Last of all, have fun! If your struggling to organise everything by yourself then ask the other girls for help. Its not easy doing all the planning by yourself. I'm sure the other girls would love to help. I have a fantastic treat to tell all you girls, I just had to share it with you!. 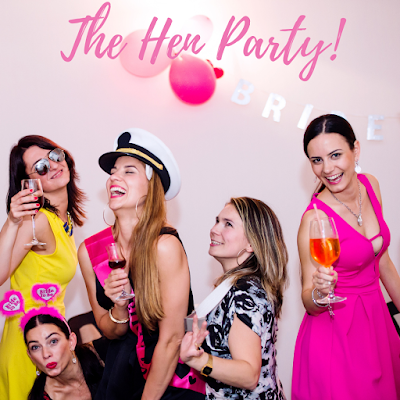 Are you wondering what to do for your hen party?. Well I have found you something that I am sure you will love, I think any girl would and if I knew about this when I was getting married then I would of jumped at the chance. Be prepared to go back in time girls and let the fun times begin!! 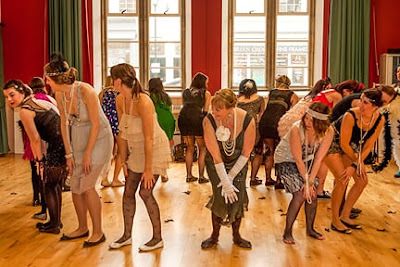 Charleston Dance & Vintage Hen Parties offer a range of fun vintage activities and experiences to suit hen parties of all ages and abilities. How exciting would it be dressing up in your favourite era, from the 1920s to the 1980s. You will learn authentic vintage dance steps from the era of your choice, followed by a fun choreographed routine that you can all dance together. You can just imagine the fun and laughter you will have, you could even dance it at your wedding, now that would be fun, fun, fun! well why not? That would really get your guests talking and something you or your guests will never forget. 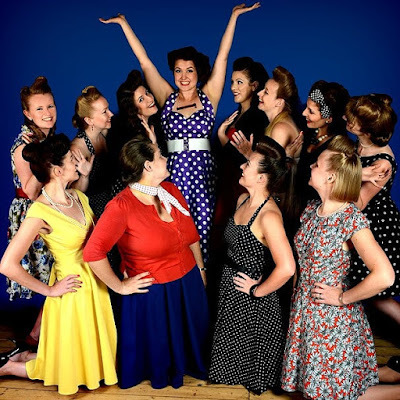 Hen party groups can choose from their fun swinging vintage dance classes - The most popular classes are the 1920s Charleston, the 1940s swing era dance class and the 1950s rock and roll. 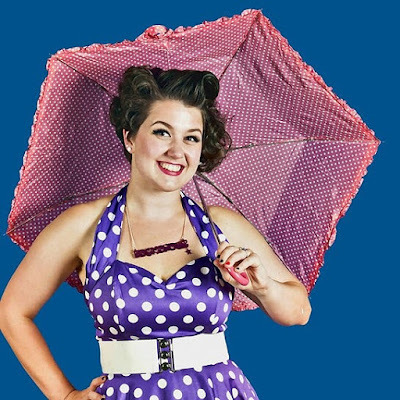 These classes are great for a vintage dressing up or even a strictly themed hen party! New to Charleston dance is the Groovalicious 1970s soul train dance class ( I'm liking the sound of this one girls!) loosen up, shake those hips, pulse those shoulders, feel the beat. This sounds fab!. Get your girls dressed up in their 70s gear with flared trousers or jeans and tight fitting t-shirts, you will really look the part. 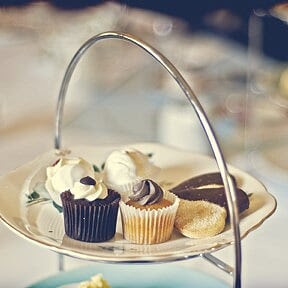 Apart from all the amazing dance classes that Charleston Dance have to offer they also have different hen party packages such as the vintage afternoon tea and dinner, vintage hair and make up in an era of your choice, vintage photoshoot, singing hen party class and more. 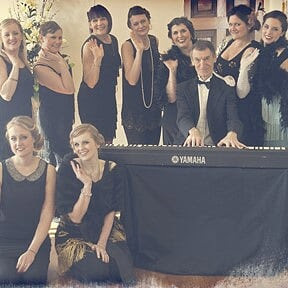 If your looking for your wedding day entertainment then why not try the vintage pianist with or without a singer, playing fantastic music from the 1920s to the 1950s. You can even hire a full five to seven piece swing ban, a vintage DJ or a vintage magician. Sounds great doesn't it! There is also a tongue in cheek vintage etiquette class where Auntie Maude teaches hens how to sip tea, walk, sit and laugh correctly and drills you on the dos and dont's of married life. This would be a giggle, definitely something different. 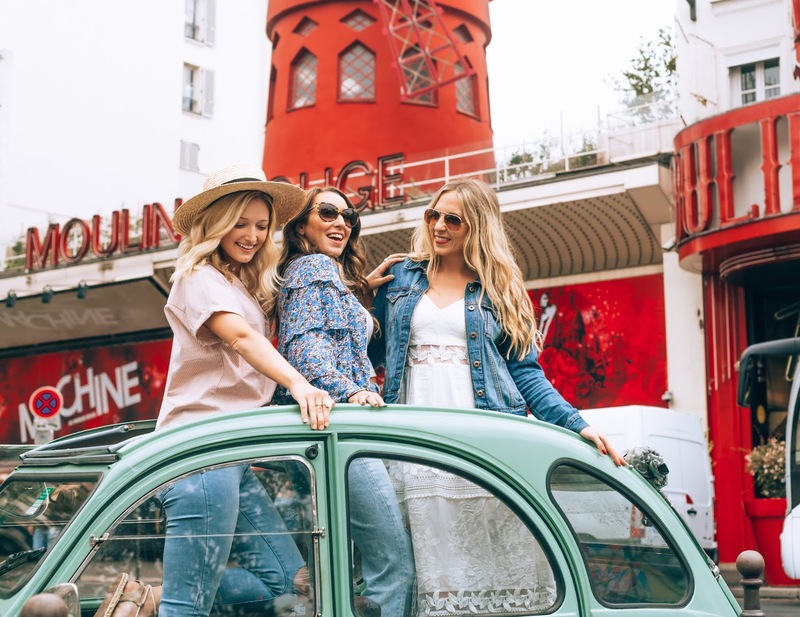 They have some gorgeous luxury vintage venues where the hen parties can take place, with so many locations to choose from. There's - London, Cheltenham, Oxford, Reading, Henley on Thames, Oxfordshire, Bath, The Cotswolds, Manchester and the Peak District. For some of the activities such as hair and make up and travelling tea parties they can even come to peoples holiday homes,cottages etc. Click on any of the images to enquire! Photos copyright Rhiannon Williams,Charleston Dance & Vintage Hen Parties.